The Human Puppet. Nina Conti performs on Russell Howard's Good News using an audience member as her 'perfect puppet'. 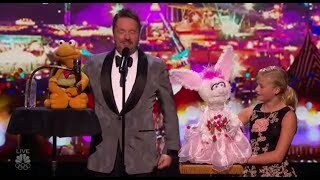 Darci Lynne and Terry Fator bring the best ventriloquism skills on America's Got Talent 2017. 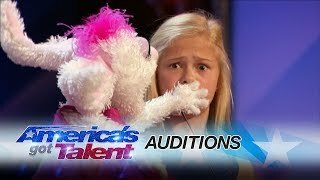 Twelve-year-old who uses ventriloquism to overcome her shyness stuns the crowd with a surprising singing act! See her wow everyone and get a Golden Buzzer from Mel B.